If you love the bread when you dine out in Dallas chances are you’re eating product from Empire Baking Company. Owner Meaders Ozarow joins us to talk about how she and her husband Robert maintain traditional methods of baking while operating 24 hours a day to service the needs of their restaurant partners. “Guest Gourmet” Paula Lambert from Mozzarella Company returns to join in the conversation with Meaders, her frequent sampling partner at numerous Dallas food events. And, we get part 2 of Vicki Briley-White’s insightful conversation with wine legend Bob Levy from Harlan Estate on “Vicki Uncorked”, about the wines he and his wife Martha are delivering from Levy & McClellan. Join us for the digital TV program and podcast devoted to introducing you to the people who create the flavors you love: “Wining and Dining with Jim White” on VOKALnow.com, YouTube, Vimeo, and iTunes. And, remember. If anybody asks you what you’re making for dinner, tell ’em reservations! Posted by jwdineline in Home, Wining and Dining Podcast. Legendary weathercaster Troy Dungan guest stars on this week’s “Wining and Dining with Jim White” on VOKALnow.com. I have always admired Troy’s amazing ability to find great little restaurants and special hotels on his European travels and other trips, which always turn out to be gourmet adventures. If you’re planning a trip to Italy or France this fall be sure to check out our show. Troy shares some great culinary and hospitality tips, and hear about his new book Jesus Makes Salsa by the Seashore, Troy’s take on how Jesus invented fish tacos, and other fun, but insightful Bible story commentaries. Our special thanks to the former WFAA weatherman (“Trust Troy”) for joining us all month as our “Guest Gourmet”, now we’ll focus on what he’s up to. Does the thought of canned wine appeal to you? Before you jump to any conclusions be sure to watch Vicki Briley-White’s special report on canned wine in her latest “Vicki Uncorked” feature coming up in this episode. I predict you’ll be pleasantly surprised. Thanks for joining us on the digital TV show and podcast devoted to introducing you to the people who create the flavors you love. Catch all of our episodes on VOKAL, YouTube, Vimeo, and iTunes. And, remember. If anybody asks you what you’re making for dinner. Tell ’em reservations! Popular chef/restaurateur Morris Salerno joins us on this week’s edition of “Wining and Dining with Jim White” on VOKALnow.com. Morris’ Bistecca-an Italian Steakhouse presents old world recipes with new world hospitality in Flower Mound. He talks about the days long preparation for his sumptuous Osso Buco and other great dishes at his restaurant, and brings us up to date on the international chef competitions in which he and his merry band of Epicurean World Master Chefs usually bring home much recognition and heavy medals. He also recounts the recent skiing accident in the French Alps that put him out of the kitchen for an extended period, and nearly put him out of commission. Good news: he’s getting beter and better everyday! Morris is a gregarious man, with a big smile, a hearty laugh, and a warm heart. You’ll enjoy hearing about his chef exploits on our program devoted to bringing you the stories about the men and women who create the flavors you love, “Wining and Dining with Jim White”. Cookbook author and former restaurant critic of The Dallas Morning News, Dotty Griffith also continues her stint with us as our “Guest Gourmet” for the month. Vicki Briley-White continues her “Savor the Flavor” wine segments with a profile on Baron Alessandro de Renzis Sonnino from Castello Sonnino in Tuscany. Catch the new digital TV version of our show on VOKALnow.com, on YouTube or on Vimeo. You can also listen to our podcast on iTunes. And, remember. If anybody asks you what you’re making for dinner…tell ’em reservations! Posted by jwdineline in Chef Tips & Video, Home, Wining and Dining Podcast. “A fiery horse with the speed of light, a cloud of dust, and a hearty bon appétit! Wining and Dining with Jim White rides again!” And, Dotty Griffith is our special “Guest Gourmet” throughout June on the all new “digital TV” video on demand show from the VOKALnow.com studios. Dotty’s quite the equestrian anyway, and an amazingly talented food expert, so my fractured spin on the classic “Lone Ranger” opening is an appropriate metaphor for our show’s sidekick. Like Jay Silverheels’s “Tonto”, the trusted companion for Clayton Moore’s “Masked Man”, our “Guest Gourmet” adds insights about hot new restaurants, great wine finds, travel tips, and generally adds to the flavor of our “news you can use about wining and dining” theme. And, serves up something interesting in case my mind wanders. Each week we’ll introduce you to great chefs, winemakers, and culinary stars. A new “Guest Gourmet” joins us each month. On our first video/radio show, Dotty is both guest star and Guest Gourmet. She gives us the aforementioned tips and shares super fun facts from her latest cookbook, The Ultimate Tortilla Press Cookbook. 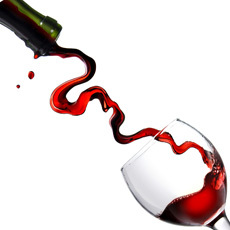 Vicki Briley-White, Savor Dallas co-founder, also brings you some fascinating “wine trends” on this episode, as part of her ongoing contributions, “Savor the Flavor” and “Vicki Uncorked”. Join us for the program devoted to introducing you to the people who make the eats and drinks you love. Watch the shows on YouTube. You can also catch our podcast on iTunes, and watch or listen to all of our shows on VOKAL Media. And, Remember, if anybody asks you what you’re making for dinner…Tell ’em reservations! 10 years of wining and dining fun seems like the blink of an eye! Thanks for making the party so much fun through the years. We really appreciate your support. We are pleased that our delicious tastings are back in downtown Dallas on March 21 and 22. 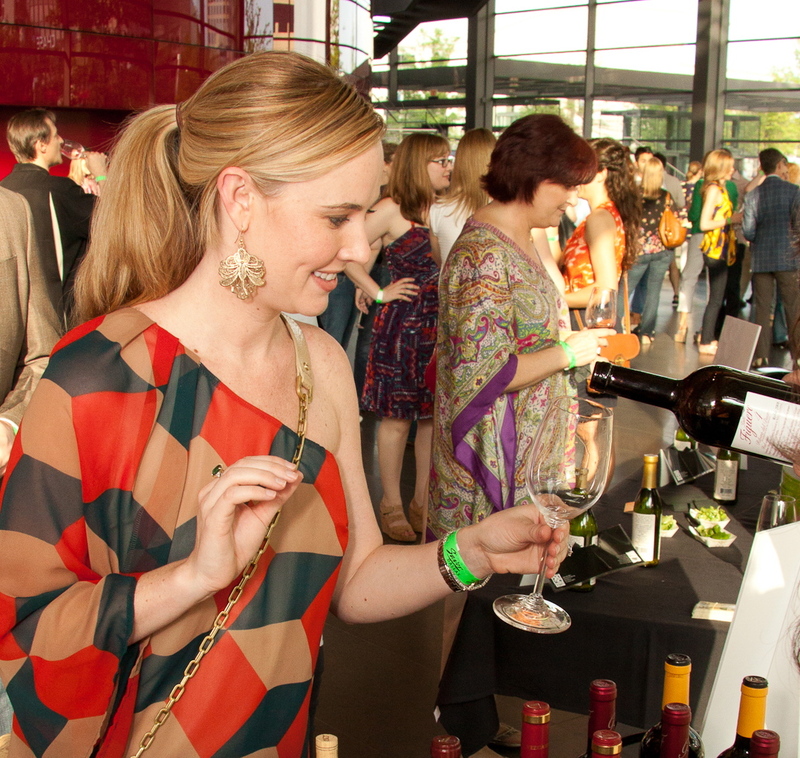 Friday’s Arts District Wine Stroll returns to the beautiful settings of the Nasher Sculpture Center and the Meyerson Symphony Center. And, what a treat to add the Plaza of the Cathedral at the Arts District to our tasting tour. The Wine Stroll has sold out the last two years. So, please get your tickets fast and join us. Saturday is a food and wine lover’s paradise. Thanks to Bob’s Steak and Chop House in the Omni Hotel Dallas for hosting our wine and mixology seminars starting at 11 a.m.
Just across the Skybridge from the Omni, Savor Dallas celebrates wine, food, spirits, craft beer, and the arts with two magnificent tastings at the Kay Bailey Hutchison Convention Center. At 5 p.m., “The Reserve Tasting”, featuring über premium wines and Champagnes takes place in Ballroom D (on the 3rd level of the convention Center). Just wait til you see some of the surprises we have in store for you to make our big 10th anniversary party more fun for you. Come see us for some big fun and big flavor in Big D at Savor Dallas. And, bring your friends! GET TICKETS HERE. Check out our website for parking options downtown on Friday and Saturday. We will have valet parking and self-parking available at the Convention Center on Saturday evening. Posted by jwdineline in Events, Home, Savor The Flavor with Jim White. The 7th Annual Savor Dallas, celebrating wine, food, spirits and the arts is in full swing Friday and Saturday. It’s a diverse event, with lots of locations. We hope you can join us. Through the years we have encountered just about every question imaginable about the event. 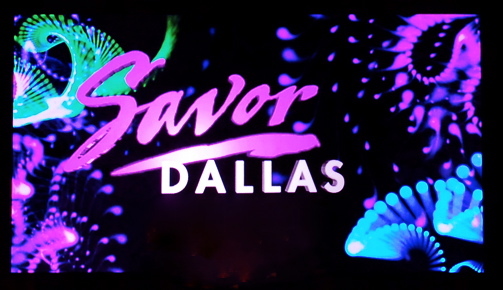 So, for your wining and dining pleasure (in case you are joining us), we have prepared a handy guide with answers to our most frequently asked questions about Savor Dallas. This should make your experience more enjoyable, and quite selfishly, mean that I will be able to answer fewer emails, texts, and phone calls this weekend. Read on and see if your question about Savor Dallas makes the top 10. BTW, tickets for most events are available at the door. Please visit the website.